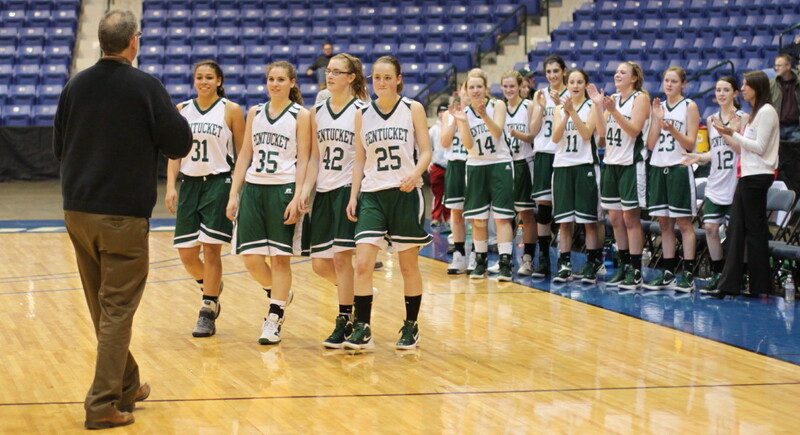 Pentucket seniors (Sarah Higgins, Tori Lane, Molly McDonough, and Leigh McNamara) head for the D3 North trophy. 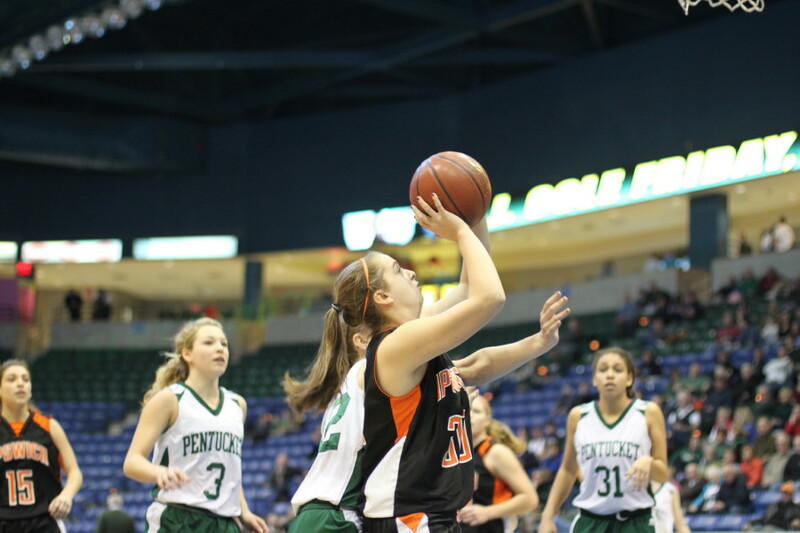 (Lowell) Pentucket did in Ipswich with two lengthy scoring runs and defeated the Tigers, 49-30, on Saturday morning at the Tsongas Center. 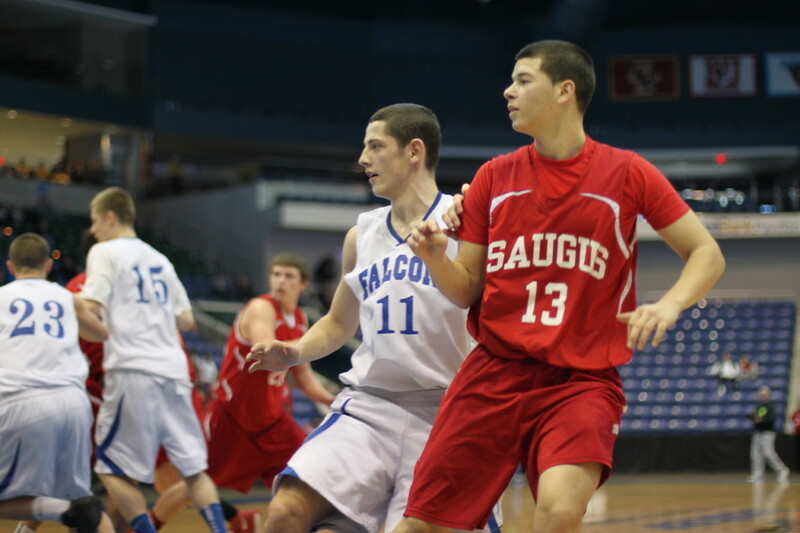 The Sachems’ (#3 seed) win gives them the Division 3 North title and a trip to the TD North Garden on Tuesday (4:15 PM) to face D3 South champs, Fairhaven, in the state D3 semi-finals. Pentucket (21-4) rolled to 9-0 lead in Run #1 before Tiger senior Shannon McFayden hit a long one over four minutes into the first period. 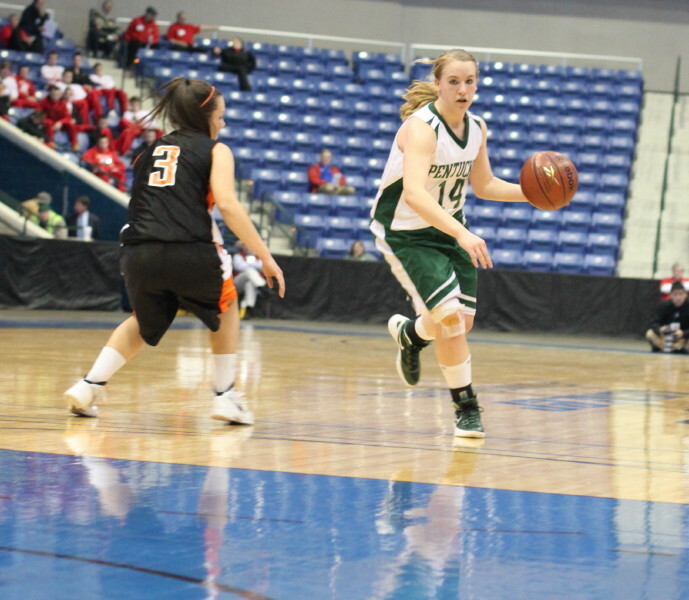 A Julia Davis free throw midway through the second quarter had Ipswich (18-5) still in contention, 14-10. 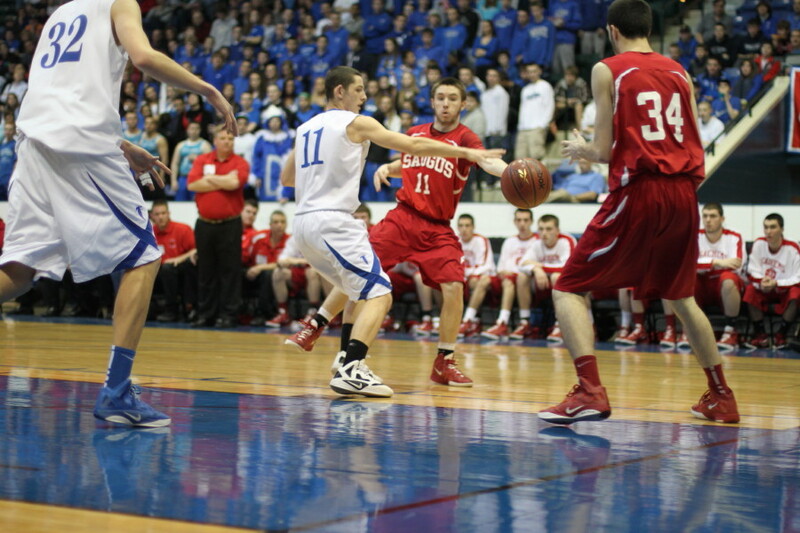 There was no recovery, however, for the Tigers from Run #2. 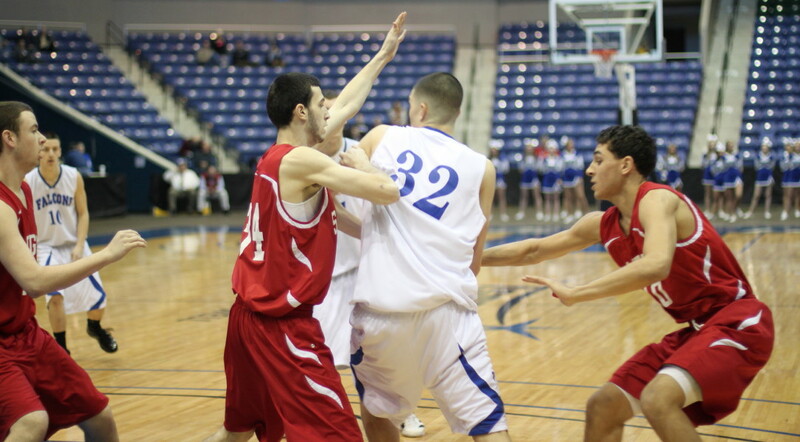 This one lasted 4 ½ minutes, stretching into the third quarter, and totaled twenty unanswered points. That’s right, twenty! It put Pentucket ahead, 34-10, with plenty of second half left but certainly not enough time for Ipswich to make things interesting trailing by that much. 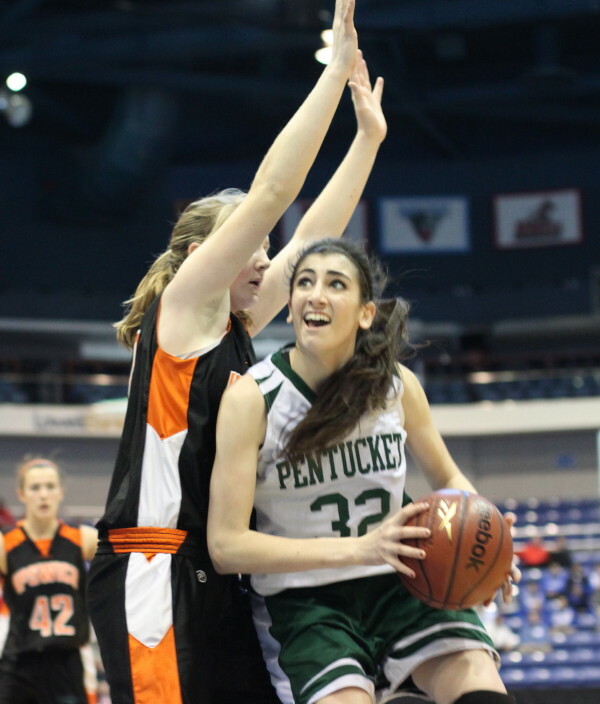 In the big run, Pentucket’s organized offense turned up five layups (Tess Nogueira two, one each from Coley Viselli, Alex Moore, and Sarah Higgins). 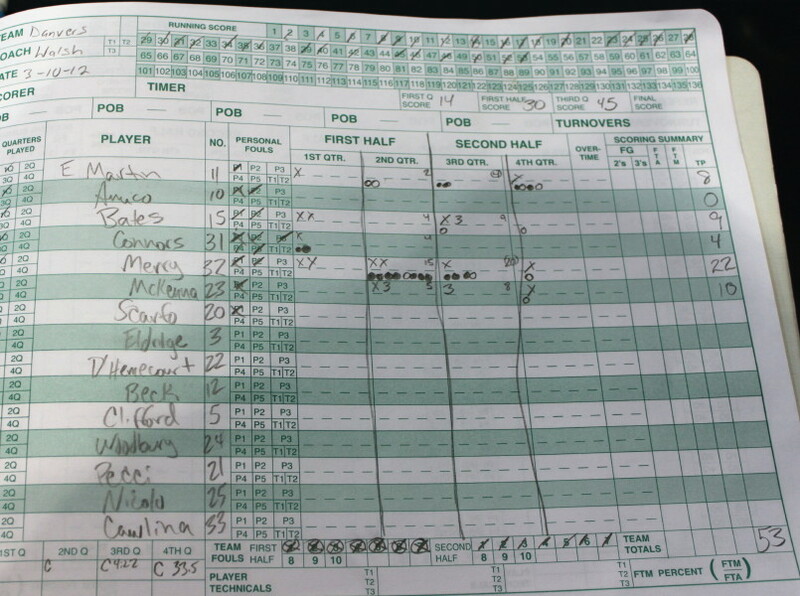 Coley had two free throws, and Sarah had a steal and a score. 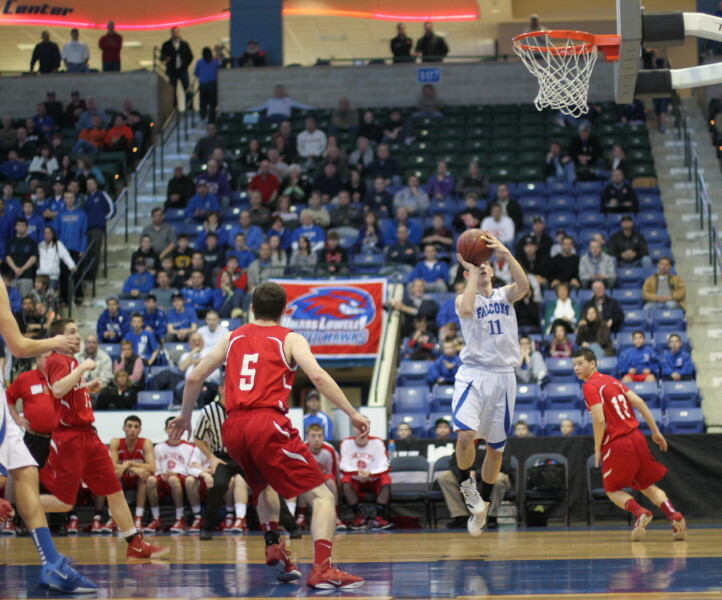 The real dagger shots in this run were two Alex Moore three’s in the last thirty seconds of the first half. Her last one was a prayer from in front of the Ipswich bench that was arc-less but went in on a line. 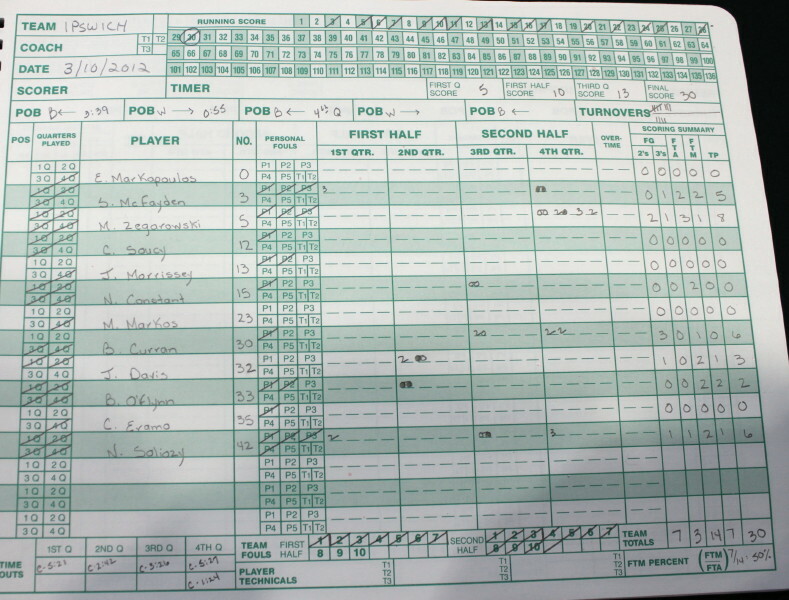 All this talk of Pentucket offense tells only half the story. 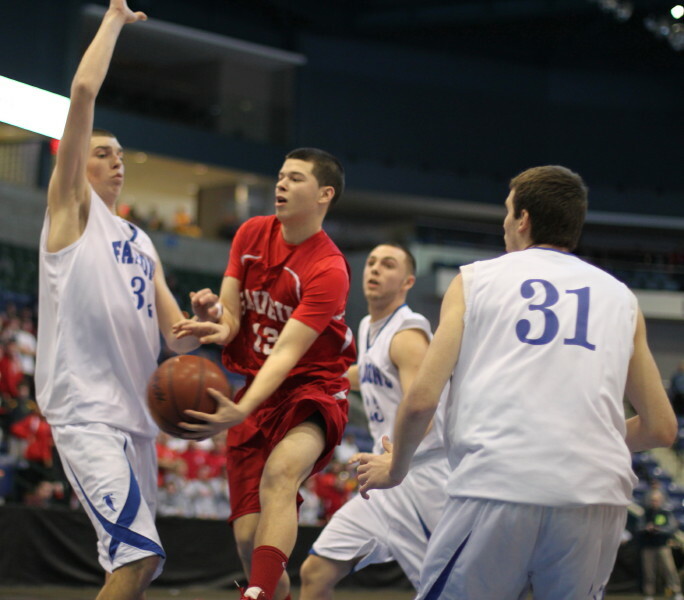 Their trapping defense was equally impressive during this segment forcing four Tiger turnovers and limiting open looks. 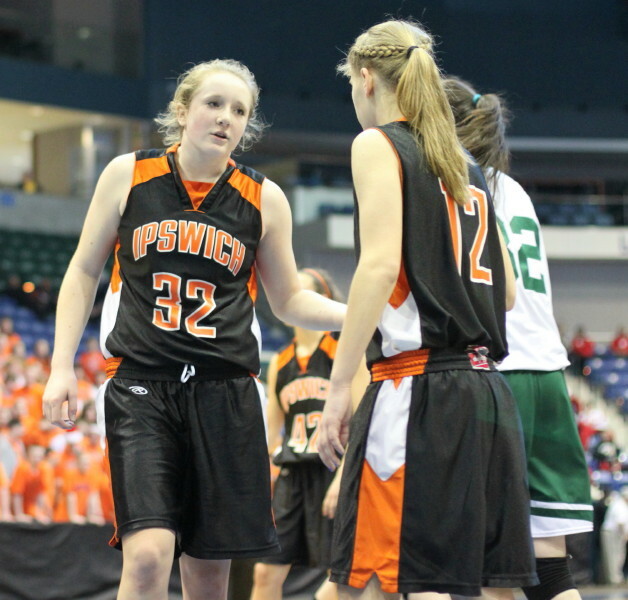 Julia Davis, Tiger’s top scorer, was injured just before halftime and didn’t play in the second half. 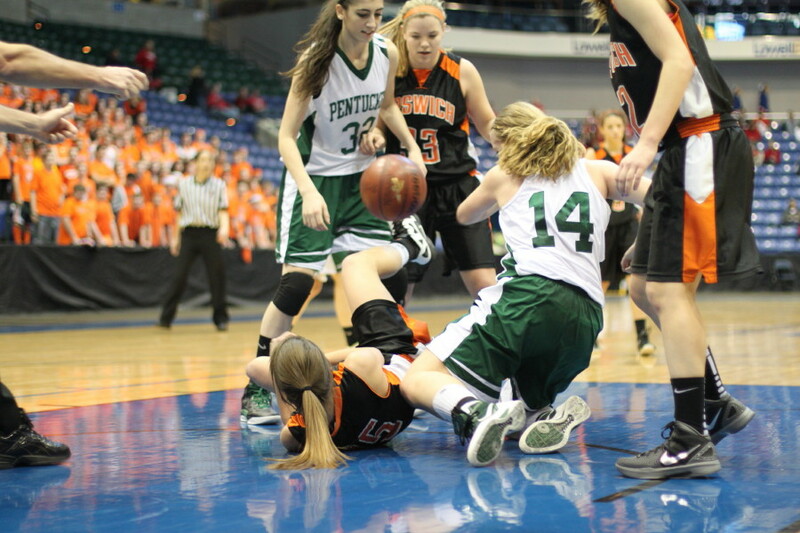 Julia slid off the playing surface chasing a missed shot to got a knee injury for her efforts. 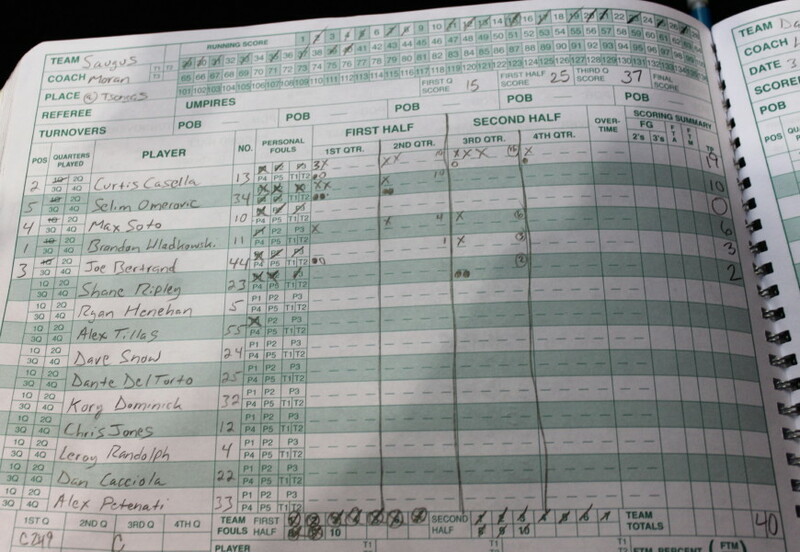 Minus their best rebounder and top scorer, the Tigers were severely handicapped in the second half. 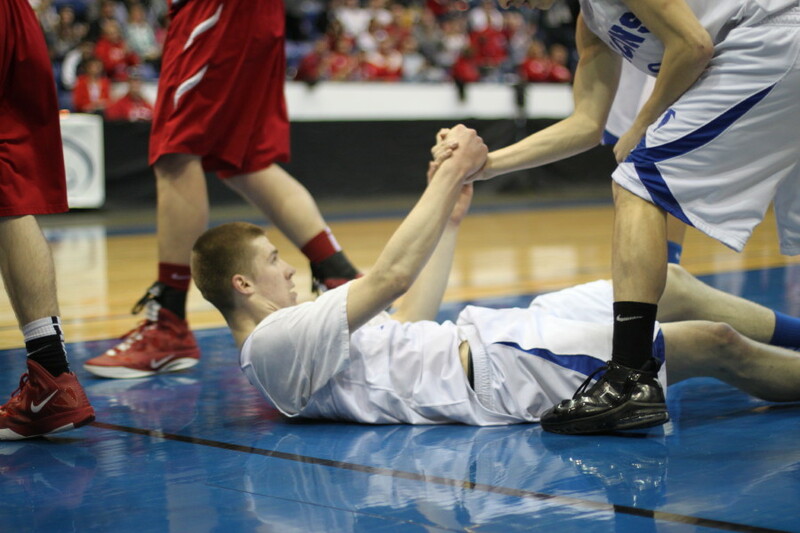 However, the Tigers did put a couple of 4th quarter runs together. One went for nine points and the other eight. 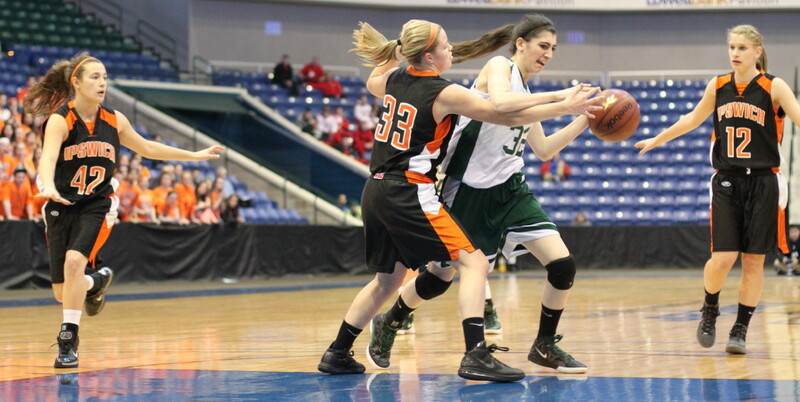 In the nine straight, there was a layup by Bridget Curran, two freebies from Shannon McFayden, and a long one from Natalie Soliozy. The eight straight were all from freshman Masey Zegarowski. 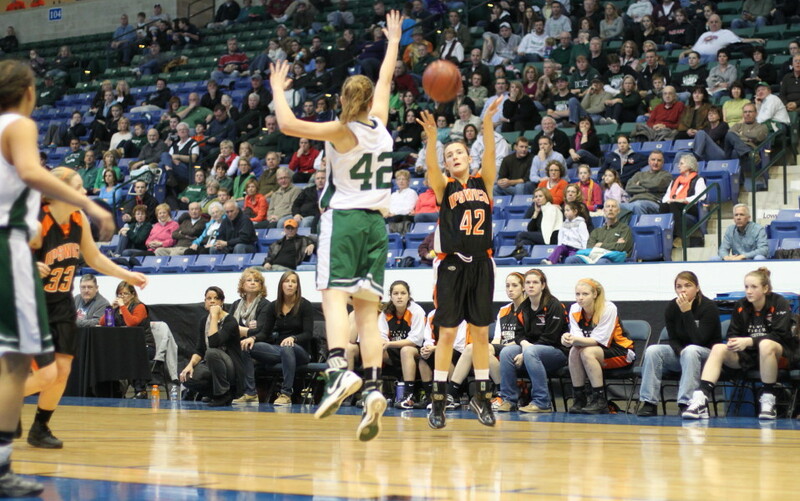 She hit from all the scoring spots (triple, jumper, layup, free throw) putting on quite a show. One of the best matchups late was the two team’s freshman starters (Kelsi McNamara and Masey Zegarowski) defending each other. Those two should see a lot of each other over the next three years, I suspect. 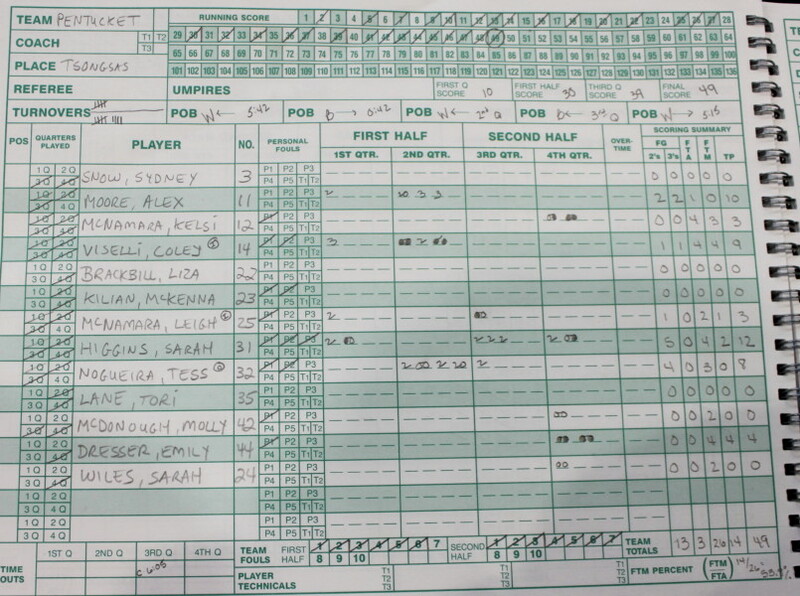 The leading scorers for Pentucket were; Sarah Higgins (12), Alex Moore (10), Coley Viselli (9), and Tess Nogueira (8). Masey Zegarowski paced Ipswich with eight. 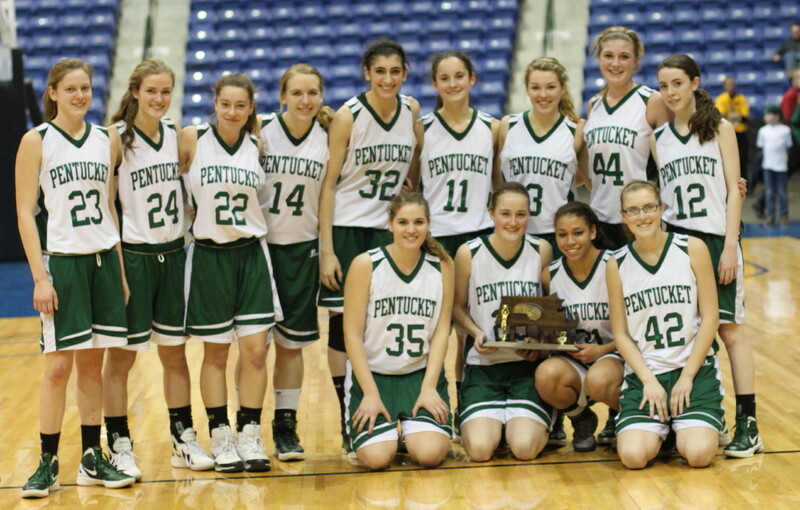 Pentucket has now won thirteen straight. 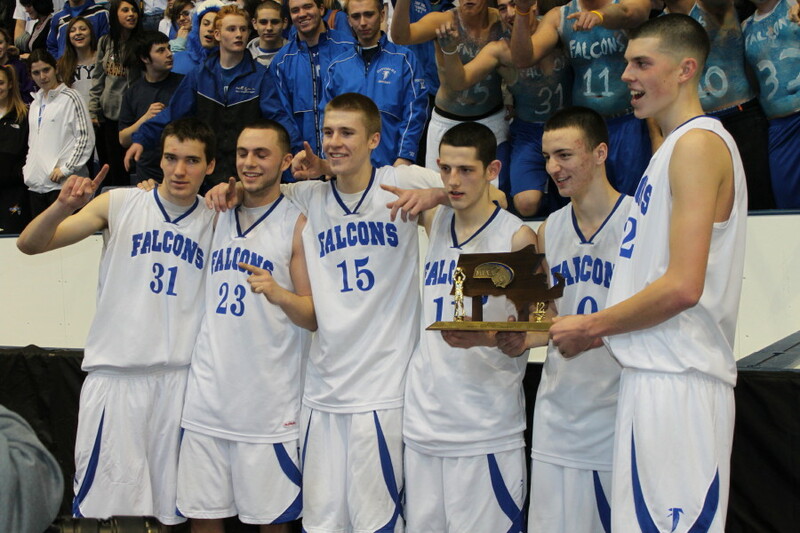 Their opponent on Monday (Fairhaven) has won ten of their last eleven. 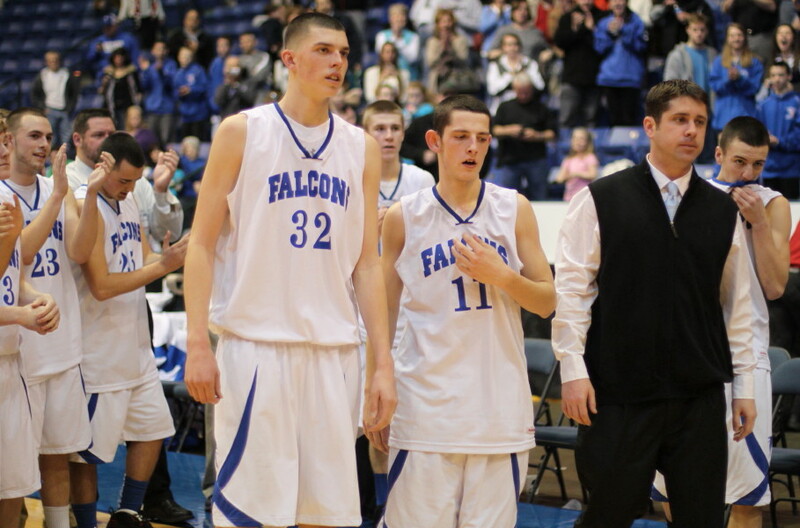 Fairhaven was the #2 seed in the D3 South. 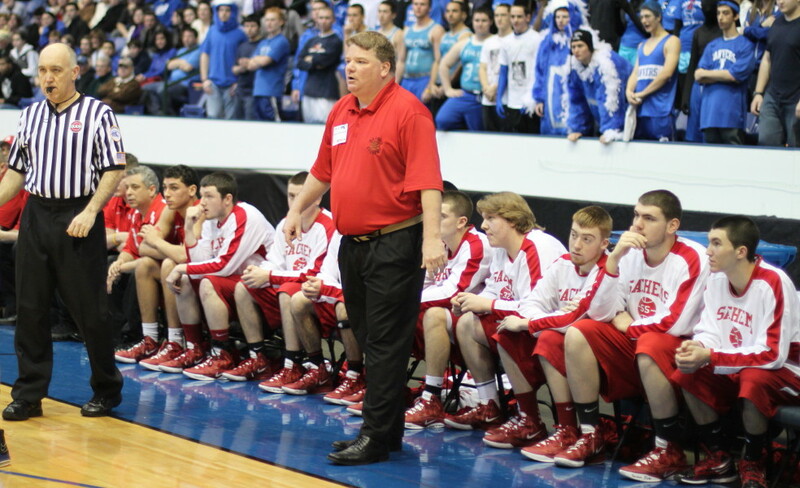 They are 21-2 and from the South Coast Conference.